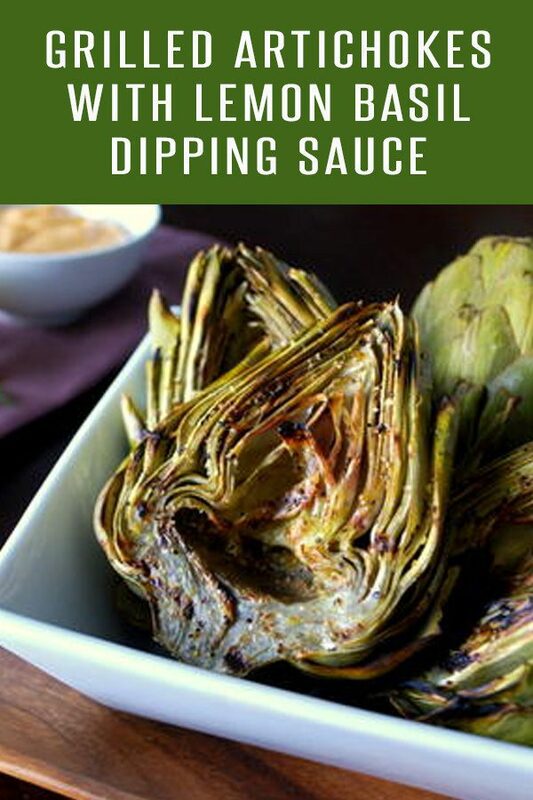 Succulent grilled artichokes dipped in a creamy lemon-basil dipping sauce. 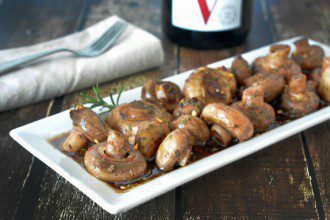 Perfect appetizer or side dish for your summertime barbecue or date night menu. Spring is finally here and with it comes our favorite grilled recipes. Come April, we turn off the oven and dust off our grill. This Grilled Artichokes with Lemon-Basil Dipping Sauce is usually one of the first items to make it’s way onto our plate. We’ll take artichokes any way we can get them: plain, steamed, lathered in butter, fried. Our favorite comes way of our sibling, who created this side dish. Truth be told this usually turns into a full blown lunch. This artichoke recipe is a hard act to follow. 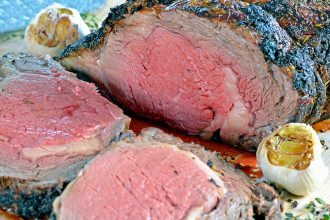 Check out the other Grilled Recipes we’ve shared to see what we’re grilling this season! 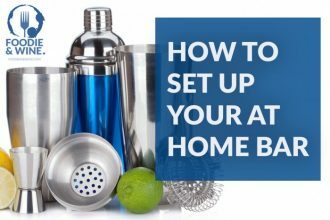 Bring a large pot of water to a boil, over high heat. In a small mixing bowl, combine the olive oil, basil and garlic. Heat in the microwave for 20 seconds. Remove and stir. Repeat for another 20 seconds. Set aside. Rub half the lemon over the entire artichoke (inside and out). Place cut side down in the boiling water for 25 minutes to steam. 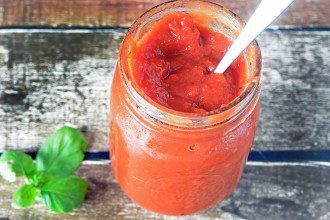 In a large bowl, combine the mayonnaise, ketchup, 1 tablespoon lemon juice, 1 tablespoon olive oil mixture and Sriracha Roster Sauce (optional) and stir to combine. Place in the microwave for 15 seconds and stir. Repeat for another 15 seconds. Set aside. After steaming, rub 1 teaspoon of olive oil mixture over the entire artichoke. Season with lemon pepper. Turn the grill on high heat. 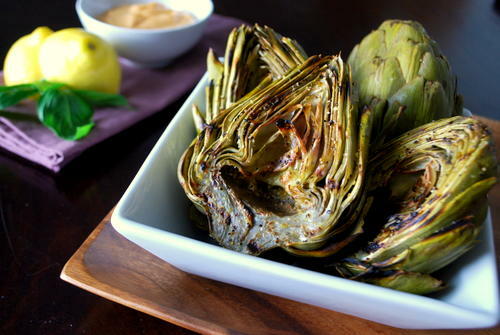 Place the artichokes, cut side down, on the grill for 10-12 minutes.